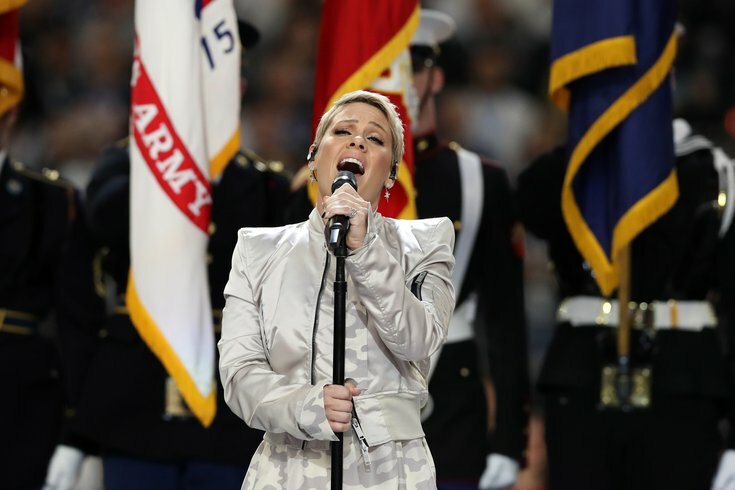 Recording artist Pink sings the national anthem prior to Super Bowl LII between the New England Patriots and the Philadelphia Eagles at U.S. Bank Stadium. The Doylestown native sang even though she was battling flu symptoms. For nearly 30 years, People Magazine has traditionally hand-selected celebrities for its annual “Most Beautiful People” issue, crowning the fairest of all to grace the cover. This year People is refreshing the concept, rebranding as “The Beautiful Issue” to “make clear that the issue is not a beauty contest,” People Editor-in-Chief Jess Cagle said in a statement earlier this week. To welcome this somewhat new concept, the magazine selected Doylestown native Alicia Moore, aka Pink, to grace the cover, along with her two children. The feature highlights Pink’s role as a mother and her goals to raise her two children in a “gender-neutral” environment, which she has spoken about in the past. She also spoke about her own “free-range” childhood in Doylestown and how she hopes to replicate the same happy childhood for her own kids. Pink appeared on “The Ellen DeGeneres Show” to commemorate her “People” cover. During her appearance, she spoke of the inspiring speech she gave at last year’s Video Music Awards, where she spoke directly to her daughter about self-image. A mere five dudes made the list for “behaving beautifully:” Lin-Manuel Miranda, Jimmy Kimmel, Kumail Nanjiani, Adam Rippon, and Drake.